Note: This is "WordBrain Witty Scholar" by "MigoApps, LLC"
WordBrain Witty Scholar Answers. Each level contains a Word Clue that you will use to create a new word. The Word Clue will either be the first part or second part of the new word you are trying to create. You will use letters below the clue to help you build your new word! Pick the level pack you can't solve below to see all the answers for the levels in that pack. Logo Game: Guess the Brand [Regular] Level 55 Answer, Cheats, Solution for Facebook, Android, iPhone, iPad, iPod. Note: This is "Guess Celebrity 2015" by "Mang Zhang"
Castle of Illusion Starring Mickey Mouse Walkthrough, Cheats, Tips, Strategy, Help for Android, iPhone, iPad, iPod. Note: This is "Castle of Illusion" by "Disney"
Logo Quiz Ultimate by symblCrowd Level 12 Answers, Cheats, Solution for Android, iPhone, iPad, iPod. 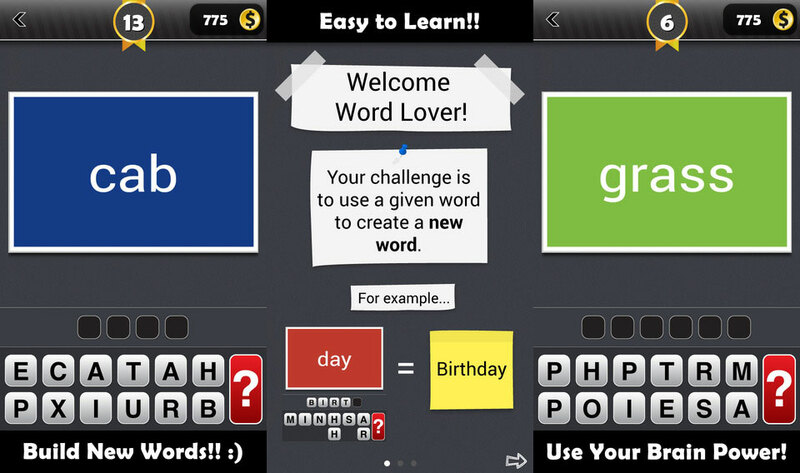 Logo Quiz Ultimate by symblCrowd Level 11 Answers, Cheats, Solution for Android, iPhone, iPad, iPod. 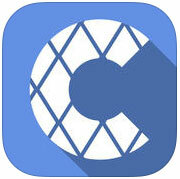 Logo Game: Guess the Brand [Regular] Level 54 Answer, Cheats, Solution for Facebook, Android, iPhone, iPad, iPod. Level 1 Tap on the rock above the door. Level 2 Create a star using a single line. Level 3 Take the torch, light it up and use it on the mummy. Level 4 Find the 4 clothing pieces and use them on the man. Level 5 Put the log between the sphinx arms, then take the plank and put it under the rock. Level 6 Get the honey pot and the torch. Drag the honey to the beehive. Level 7 Use the sword to break the barrel. Take the key and use it to open it. Shake the phone, use the shovel on the ground to reveal all items, than place them on their slots. Level 8 Drag the rock to the right man, use the sword on the left man. Level 9 Clean the sand and use the torch and dynamite on the rocks. Level 10 Slide the wheel away, take the wooden object and use it to free the sword. Use the sword on the door. Level 11 Take the rope and use it on the camel. Now use the whip on the camel. Level 12 Make 4 in a row. Level 13 Feed the cat with the mouse. Tap the bell and put the milk in the left corner. Level 14 Tilt the phone right, connect the rope to the bell, use the wheel to raise the bell. Use the key on the door lock. Level 15 Use the screwdriver on the left gears. Drag the rope right-down, left, up-left. Tap the screwdriver to spin the gears and open the door. Level 16 Tilt the phone right, use the bucket to catch 30 eggs. Level 17 Slide the cover and take the ankh. Slide mummy right and put ankh in the slot above the door. Level 18 Match the images. Level 19 Move the rocks to the right side, in the same order. Level 20 Swipe the grass. Shake the phone, take the pot, sticks and rocks. Place rocks next to the door, sticks over them and pot on the rocks. Catch the rabbit and put it in the pot, light the wood with the torch, than give the pot to the man. Level 21 Slide the orange circles into the square, FAST. Level 22 Tap the left men, FAST, until he's dead. Level 23 Take bucket and magnet, place bucket on stick and magnet in bucket. Drag the stick to find the key. Level 25 Use rake on right grass, drag the gas can four parts of vine patches, use the torch to burn each grass part. Level 26 Slide the bottle to the top and let it go. Drag the pieces of glass into the sun and wait for the hay to catch fire. Use the key on the door. Level 29 Use the pickaxe until the green rock is destroyed. Level 30 Tap the boxes from small to large. Level 31 Tap the arrows as shown by the red dots (start from the big red dot in the middle). Level 32 Put planks in water, shake device, use the tools on the boat, use the rope on the boat and tap the boat. Level 34 Match the envelopes and mailboxes based on their color. Level 35 Tap the cow with the key. Level 36 Tilt the phone to get the ball in the center. Level 37 Tilt phone left, use axe on tree until is in pieces. Place the logs on the truck and tilt the phone right. Level 38 There are 5 differences you need to find. Level 39 Kill the bugs but not the scorpions. Use the bat to kill scorpions. Level 40 Attach wheel to cart, place barrels on cart, use the whip on the animal. Level 41 The key is on row 5 column 4. Level 42 Put the rocks above the door, on the ground. Level 43 Solve the picture puzzle. Level 44 Tap the eagle when you see it. Level 45 Use broom on spider and spiderweb. Level 46 Tilt the phone and bring the ball to "END". Level 47 Tap bells in this order: "3rd 4th 2nd 1st 3rd 3rd 2nd 1st 4th 1st 2nd"
Level 48 Take gun from right side and whip from top side. Use the gun on the mummy and whip on the snake (Use two fingers). Level 49 Put sword in hands and slide to the left. Level 50 Tap planets from smallest to biggest. Level 51 Solve the puzzle. Level 52 Top: Blue Yellow White; Bottom: Pink Orange Green. Level 53 Use key on bird cage, than give cheese to the bird. Pull the lever to open door. Level 54 Attach bob and hook on the fishing pole. Put fishing pole in water and pull quickly when the bob goes down. Do this until you catch a fish. Then give the fish to the bear. Level 55 Tap chess pieces in the order shown on the floor: "3 1 2 1 2 1 3". Level 56 Use one finger to aim and a second finger to shoot. Shoot all the targets. Level 57 There's a key under the left cabinet. Use 2 fingers to take it and open the door with it. Level 58 Fill the balloon with air from red tank. Attach rope to balloon, place balloon under the key and let it go. Level 59 Drag balloon flags on their country. Level 61 Hit the airplane 6 times with the tank. Level 62 Slide vines to the sides. Level 63 Put black chest pieces on right and white pieces on left side. Level 64 Use hook to get rope, now use gook and rope on the door ring. Level 67 Use the rock on the left lamp. Place ice cube key on the flame to melt the ice. Level 69 Use the rock to break the bottle. Cut the rope with the coconut. Take key and use it on the door. Level 72 Bring the objects to the brown blocks. Level 73 Solve the puzzle. Level 74 Attach rope to bucket. Use it to take water from the well and fill the glass container to find the key. Level 75 Place stone wheel on center cog. Take screw from bottom left and connect it to the wheel to make it spin. Sharpen the tool on the wheel and use it to cut the chain. Level 76 Place glass vial on stand. Take the bucket, crown and black container, then change numbers to 350. Level 77 Put the knifes in the blue spots without hitting the woman. Level 78 Take red tank, metal torch and metal piece of the right corner. Attach metal piece and tank to the balloon. Light it with the torch and remove sand bags. Level 82 6kg - tap 6 times, 5kg - tap 5 times, 2 kg - tap 2 times... you get the point. Level 83 Hang a 4 litter bucket on hook and: 8 to 3, 3 to 5, 8 to 3, 3 to 5, 5 to 8, 3 to 5, 8 to 3, hang 8 bucket. Level 84 Find the 2 golden objects. First one is under the square rock on right wall (press and hold it). For the second one just drag the rock above the door, to the right side. Level 85 Tap dots in this order: "Left 1 - Right 3 - Left 3 - Left 2 - Right 2 - Left 1". Level 86 The missing number is "80". Level 87 Complete the clock and set it to 7:05. Level 89 Shake the phone, use sickle to cut the rope, use sickle to cut 3 branches and feed the camel. Level 93 Move the pieces to the right pole, in the same order. Level 95 Pull the rope of right lamp. Slide "Welcome" mat to left to see the key. Level 96 Shoot the pane with the bombs. Now use another bomb on the red box to find the key. Level 97 Break the bottle, by letting it fall from high above. Attach the fuse to dynamite. Use two finger to drag the bottle to the sun and dynamite where the sun shines (middle of the door). Level 98 Get 4 in a row to win. Level 99 Find a crowbar. Shine the calendar and flip the phone upside-down. Now use crowbar on wood plank. Level 100 The solution is 100. 100 Doors World of History Walkthrough, Answers, Cheats, Solutions for Android, iPhone, iPad, iPod. Note: This is "100 Doors World of History" by "OAS developer"